Stanley Park, a behemoth covering 1,000 acres of land next to downtown Vancouver, is nothing short of impressive. Beside its enormity, it also boasts dozens of natural landmarks and manmade attractions, which satisfy both outdoorsy and culture-seeking people. The park is surrounded by about 10 kilometers (roughly 6 miles) of the Vancouver Seawall that separate the forest from the water. While I expected a fair number of walkers, runners, and bicyclists to pass me on the Seawall, I discovered that Stanley Park is also a favorite spot for rollerbladers. I haven’t seen anyone use rollerblades in years, so the sudden flood of people traveling on four wheels was a bit surprising. If you’re dying to break out your own in-line skates, this is the place to do it. Parks are a great place for nature lovers, of course, but Stanley Park isn’t a run-of-the-mill natural area. You can enjoy views of the water & cityscape, observe the rock architecture, and watch birds, otters, and other creatures go about their activities. For those less interested in nature’s creations, a handful of manmade attractions throughout the park might catch your eye. This collection of totem poles pays homage to the indigenous peoples who occupied the area before colonization. The intricate details and colors of these structures make them really interesting, and I wish I knew the stories and meanings behind the figures too. As you make your way along the Seawall, you’ll also come across the Nine O’Clock Gun (a cannon that still fires every evening at 9pm), a sculpture appropriately titled “The Girl in the Wetsuit,” 32 million-year-old Siwash Rock, and 100-year-old Brockton Point Lighthouse. Perhaps the most dramatic landmark in Stanley Park is Lionsgate Bridge, which connects North Vancouver with the downtown area. And yes, it does look like a teal version of the Golden Gate Bridge. A handful of directors have shot their movies here, turning the bridge red in post-processing. In fact, as the exchange rate keeps costs down and Vancouver becomes a hub for movie production, you can probably expect more films to use Vancouver for “San Francisco” settings. If Lionsgate Bridge from below doesn’t satisfy you, you can hike up to Prospect Point to get a dramatic view of North Vancouver and the water below. I’m glad I got the photos I did, but frankly I was disappointed that the view wasn’t more impressive (having heard that it was stunning). Perhaps if it weren’t so cloudy or if I’d been hiking anyway I would’ve felt differently. This guide doesn’t cover everything Stanley Park has to offer. With acreage 10% larger than Central Park in New York, you can imagine that there’s much more to discover. 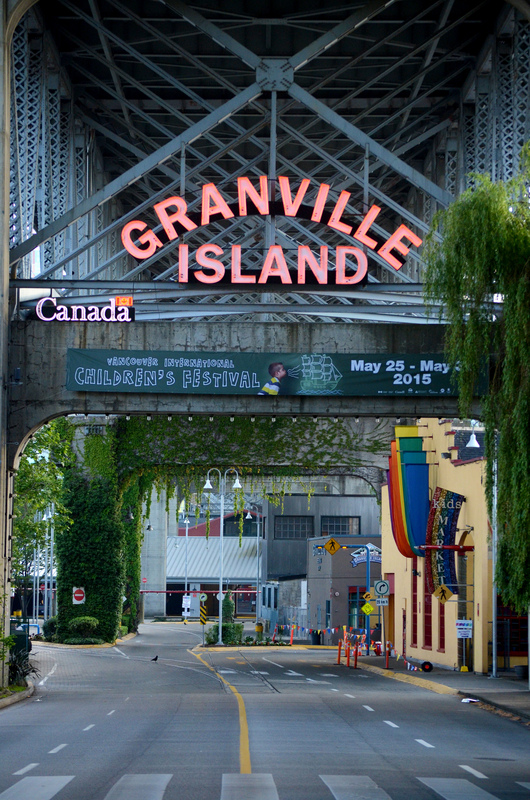 Manmade attractions include an aquarium, a trolley tour, and more sculptures and monuments. On the natural side, you can explore Lost Lagoon, Beaver Lake, Hollow Tree, tons of trails for hiking, and a variety of gardens (featuring roses, rhododendrons, and a Shakespeare-themed arboretum). Careful: you might just fall in love with Stanley Park. What a great place to hike or bike through. It looks like a great way to spend a day or two. There’s SO much land that you could easily come back every day for a week and find something new every time. Lovely tribute Sabina to one of the great parks of the world and certainly one of the greatest city walks anywhere. 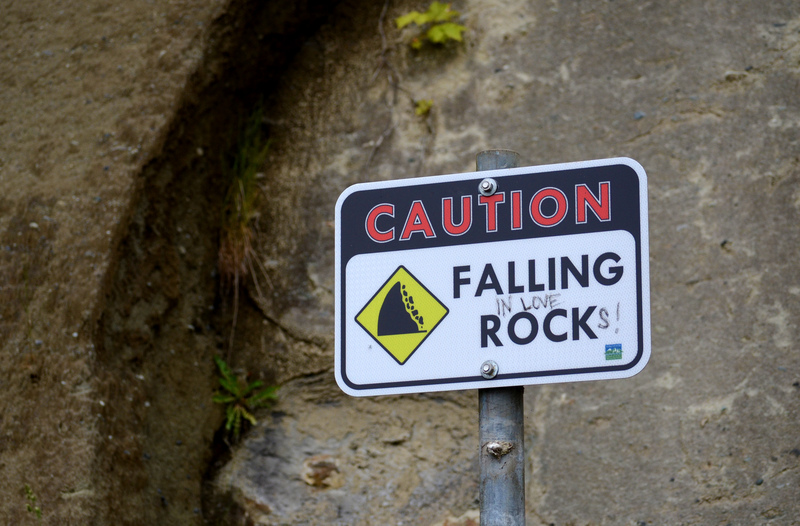 Okay, the enterprising lad who altered the “falling rocks” sign needs a high-five. What a fantastic collection if photos. Stanley Park looks like quite the place. I love the totem poles , particularly. They are such fascinating pieces of history. Totem poles are awesome. Thanks Britta! Oh my GOSH you’ve got me so excited! I’m going here in Sept for the first time! Looks awesome!! Amazing pictures! I don’t think I’ve ever seen a totem pole up close, these look iconic! Thanks! I love these totem poles too. What a great park! I was just telling my husband about how I’d like to visit Vancouver BC! It really is! Everything I did was lovely.